Prayer service at 7:00 pm with an opportunity to share memories. Richard Kapustanczek was a good man through and through. A man of integrity and grit, he valued relationships with others and treated everyone he met with acceptance. A kind, supportive father, a caring husband, and generous beyond measure, Richard will be greatly missed. He treasured time with his family and loved to share with them all of life’s rich blessings. His charming smile, warm and easy-going personality will be lovingly remembered. The 1950’s were known as the decade of the baby boomer. Exciting times indeed with the many talents of professional baseball players Mickey Mantle and Hank Aaron, as well as the rock music icon, Elvis Presley and movie heartthrob, James Dean. Families still huddled around the television to catch the latest westerns such as Gunsmoke or anything featuring Lucille Ball. 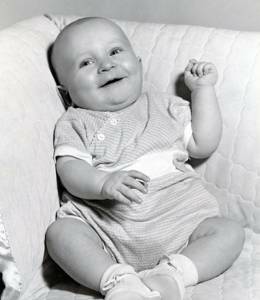 On April 24, 1953 Gilbert and Leona Kapustanczek (nee Pabich) welcomed home their son, Richard in Milwaukee, Wisconsin. He was born third on the totem pole; older sisters Marlene and Patricia and then followed by Joe, Theresa, Christine and Michael.  Born to a set of hard-working parents, Richard understood the value of a hard day’s work. His father was a local barber and his mother was a homemaker before later becoming a unit clerk at St. Francis Hospital. They were a loving, humble, grateful, church-going family. 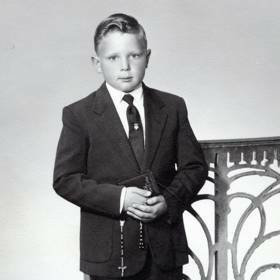 Growing up in Greenfield, Richard attended St. Alphonsus School and graduated from Greenfield High School. As a young adolescent, he was an avid comic book reader. The 70’s brought his personal favorite hobbies: Dungeons and Dragons and Fights in the Skies. He also enjoyed watching many popular science fiction movies of the time. Losing his father during the tender years of his twenties, Richard followed the growing trend to head to central Wyoming’s oil fields. Having left home clean cut and shaven, he returned two years later, a long-haired hippie. Upon his return, he worked at several factory jobs until he took up work with Lawns, Inc landscaping company where he was content for many years. In addition to rigorous yard work, he also enjoyed bartending at the Bull Pen bar in the West Allis area. It was here, that he met the woman of his life; Kathleen Todryk. The two of them hit it off and a lasting romance ensued. 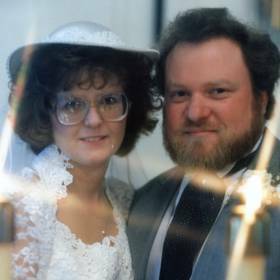 Eagerly wanting to spend the rest of their lives together, they joined in marriage on October 18, 1986 at St. Paul’s Catholic Church in St. Francis. He was filled with delight to welcome into his life both of Kathy’s beautiful daughters; Jackie and Alissa. Treating them as his own, he provided for them a loving and nurturing home. One year later in October of 1987, they were blessed with the birth of their son, Ryan. Later in life, Kathy’s son, Todd was introduced into the family and Richard became affectionately known as, Grandpa Rich. As a father, Richard was very approachable and easy to talk to over their growing years. 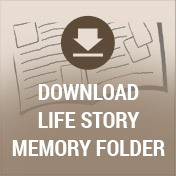 He treasured their times together at Harbor Village in Door County where they would enjoy camping as a family. He loved to teach each of his children how to bait a hook and catch a fish as well as clean it! There was never a dull moment with him. 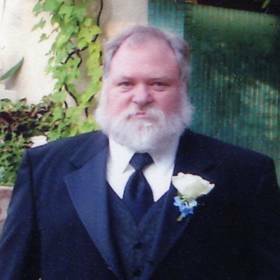 He enjoyed sharing his love for motorsports by attending numerous car shows, Monster Truck rallies, and watching NASCAR with his son, Ryan. But it was his girls who had him wrapped around their little finger! There simply wasn’t anything that he wouldn’t do for them. Richard truly excelled as being a fun-loving grandfather, never once missing a chance to help the grandkids get into mischief. Known to love motorcycles most of his life, he even owned a vintage 1980 Harley Davidson Full Dresser. He was never one to miss a Green Bay Packers game and loved a good game of cribbage or darts. 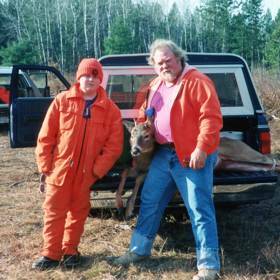 He also enjoyed many memorable hunting trips with his brother Joe over the years and his love of Fights in the Skies/ D&D grew to include attending their conventions in both Milwaukee and Indiana. Leaving Lawn Inc, Richard worked as a paraprofessional at the A.E. Burdick school in Milwaukee. Drawn to the energy of the children, he made many endearing relationships with them over the years. They called him Mr. K and knew that he always expected them to do their personal best referring to his “golden rule” of doing as he said, but not as he did! He even proudly donned his catch phrase on a t-shirt they gave him! He absolutely loved his time there even disguising himself as Santa Claus and adding his warm spirit to their school events. After his cherished time there, he went on to become a corrections officer with the Milwaukee County House of Correction. He held several important positions there from gunner to dog handler with his canine partner, Bolo by his side. After suffering a head injury in the summer of 2005, Richard left to work maintenance with the Milwaukee County airport. Richard fought a long battle with many health issues over the years, including hypertension and more recently sepsis, a life-threatening condition. He was never one to complain and instead looked on the bright side of life. Described as loving, caring, and a kid-at-heart, Richard’s selfless way of being will be cherished by many special family members and close friends.